The Power Balls are the ultimate training tools for working grip strength while doing pull-ups. The 3″ diamiter balls provide a radius for open hand training, and are ideal for small hands and easier grip compared to larger training balls. From pinch strength to core exercises the Power Balls provide more advanced rock climbing training options than your standard hanging tools. Sold in pairs. 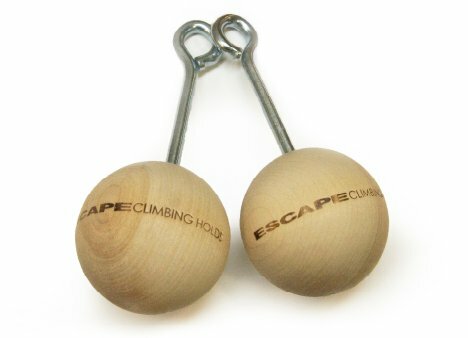 If you have any questions about this product by Escape Climbing, contact us by completing and submitting the form below. If you are looking for a specif part number, please include it with your message.